We are excited to announce something new here on the website. We do a weekly Thursday podcast, but want to spread the wealth and feature some other amazing voices in the blogging and podcasting space for you to check out. There are plenty of bloggers who put out roundups of their favorite posts from the previous week, and we found that we’ve gotten to read some great new blogs we would never have stumbled upon otherwise, and got around to reading posts from bloggers that we might have otherwise missed. Since this is a Millennial focused website and podcast, we will be focusing on Millennial voices. Check out our round-up below! 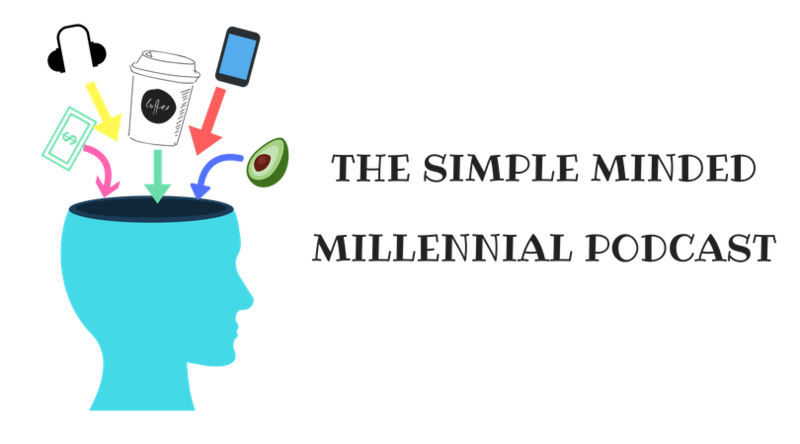 Below are four posts and podcast episodes we loved for Millennials looking to practice the principles of simplicity and mindfulness for success in their business, career and finances! Millennial. Mindset. Money. Career. Self improvement. Growth. Happiness. The energy you put out into the world will come back to you in some shape or form. By saying “thank you” and being thankful for the situation you are in, your mindset will change for the better. We are feeling blessed for having read this amazing post! Consistent efforts added up daily will lead to massive success. This is a fact BUT only when you are doing the right thing. When you are doing things which negatively affect your life, then compounding also works AGAINST you. Each day, there are a number of decisions we make. Are these decisions leading you towards success or towards failure? This post is great in that it quantifies some of the decisions we typically make each day. Eat out? Get coffee? Pick up a snack? If we do these things each and every day, in 10 to 30 years, they will have a huge impact on our finances! Sweating the small stuff will result in frustration and burn out. Young FIRE Knight talks about his family situation and how a lot of it is out of his control. He recently went on a trip and had some interesting thoughts towards his stress and how he really couldn’t affect the situation. If you can’t control the situation, then it’s important to not stress the small stuff and focus on what you can control. We love talking about locus of control and mindset on the podcast, and this post is all about focusing on what you can control. We loved it. Erik has been going down the rabbit hole lately on zero waste, and both Erik and Steph are tracking their wealth in November. For Erik, it’s been very eye opening to see how much he is throwing away on a daily basis without even thinking about the environmental impact. This post talks about the simplicity of zero waste. Really, if you live a comsumption based lifestyle, first, you will have a lot of trash, and second, there will be unnecessary complexity. Simple is better in many cases, and with less waste, you can focus on what really matters! We hope you enjoy the posts this week as much as we did. We consume a ton of content and it was hard to narrow down our favorites. We are looking forward to sharing some new ones with you again next week! Thanks for including me (well, Mrs. Kiwi) in this first roundup! She has gotten a lot of love for this guest post for very good reason. Thank you Angela for stopping by and you are welcome! !